I saw that chevron and knew exactly what I wanted to make! And of course I had to throw in some Rosie Posie too! I am totally hooked on Pinterest and love everything that I can find there from color combos, design elements, recipes and fun stuff for the kiddos! It is a great way to waste pass the time! :) If you'd like to check out what I am pinning, you can follow me on Pinterest HERE. I am off now to check out the rest of today's cards! Have a great day! SPECTACULAR Laurie! Love the pretty photo you found and your card!! Gorgeous card! i love the bright chevron with those flowers! Laurie, this is amazing! I love this card so much, I just had to Pin it! GORGEOUS! spot on Laurie, absolutely spot on! This card is fabulous, you took that inspiration photo and ran with it. Your chevrons are amazing and that flower just closed the deal! Beautiful. You make it look so easy! That's one of my favorite things about your cards -- the effortless. Another beauty, my dear. You used this insp. picture to perfection!! Great card. So fresh and lovely, Laurie! Your rosie posies look so beautiful and the chevrons are a great balance to the florals! Gorgeous, Laurie! Lovin' that photo, too! This is so beautiful! Love your take on the photo! Love the yellow chevron!!! Um...wow! Okay..double wow. Love this card Laurie. You never stop amazing me with how creative you are. Thank you for all the inspiration. Wow, Laurie, this is fabulous! I love your card and seeing the photo that inspired it! I'm ordering Chevron Stripes this month for sure! This is FANTASTIC... you did such an amazing job with your photo!! I saw this gorgeous photo too, and you did an amazing job using it as inspiration. 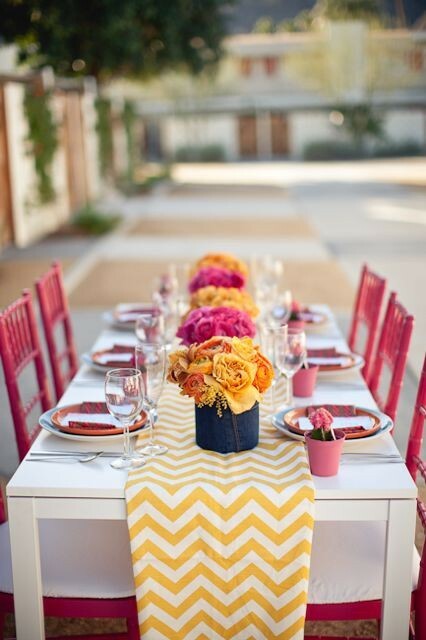 Those bold flowers are stunning against the pale yellow chevron. Gorgeous! 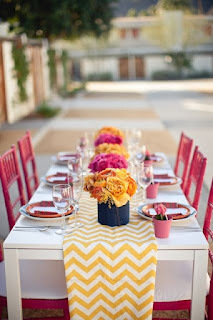 Love the chevron with the flowers and the colors too! Totally gorgeous Laurie! Awesome colors and LO! So pretty! Love this set! I just started on that site pinterest and think its really going to inspire me! wow - how neat! love the take on the inspiration! Seriously, how did I miss this one? (I guess I was kinda behind) But this is beautiful!! Love that you did the Copic flicks like we've been seeing! It really adds soo much to that flower! so pretty - I love your take from the inspiration!